The response from readers on Photography Blog about the SX500 IS was a mixed bag of people loving the variety of tech and those not liking the image quality. The latter point is a valid one and it looks as though Canon were paying attention to what consumers were saying. The result is a drop in resolution and some hard work going into the sensor, noise reduction and processor to make it much better. Image quality is now much better on the SX510 HS and the only thing that we find lets it down is the lens. Having a massive lens on a small camera isn't a bad idea but the one that's on the SX510 HS seems to have been directly from its predecessor and that one was riddled with chromatic aberrations. Therefore, the same can be said about the new camera and it's a real shame to get such good noise control only to have purple fringing along all contrasting lines. The dynamic range of the sensor isn't that wide, the camera struggles to expose properly in direct light or complex lighting. It often burns out highlights. We're sympathetic to the fact that the days we tested the camera were very bright with a low autumn sun that caused havoc with strong shadows. However, we've seen better results from other cameras in similar situations. Using the camera is easy enough, though and even if you don't have any experience of manual control, there's plenty of features that will do everything for you while giving scope for improving your photographic prowess if you wish. The UI is typically straightforward so that even a newcomer to photographer will manage to navigate their way around without a lot of fuss. For a camera at this price point, you get a good amount of features. It's easy to see a large zoom lens, manual controls and expect it to be like a DSLR and you have to dispel those thoughts while looking at the SX510 HS because it isn't one. It's a high grade point and shooter that has some manual modes. It makes it a great little camera for a family that has people who have varied levels of skill in photography. The only thing really letting the SX510 HS down is the quality of the lens system. Design wise, we'd like to see the ugly zoom switch replaced with something a little more sleek, but that's a minor digression and we certainly won't mark the camera down for it. If you're looking for a superzoom camera that's quite small and has good noise performance, then you'll like the SX510 HS. Just take a look at the sample images and look for chroma. 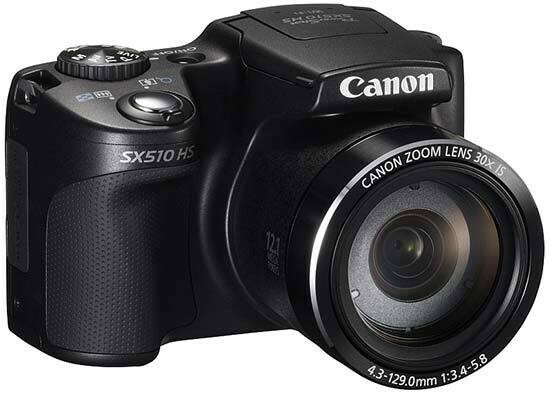 If you can live with it, then you'll like the Canon Powershot SX510 HS.